I really enjoy coming up with new recipes and it’s such a tremendous joy to share them, but the difficult thing is trying to figure out what recipes are going to be popular and really take off. Looking back at the recipes I’ve shared so far, I’ve been really surprised by which ones are your favourites and it’s really varied too. 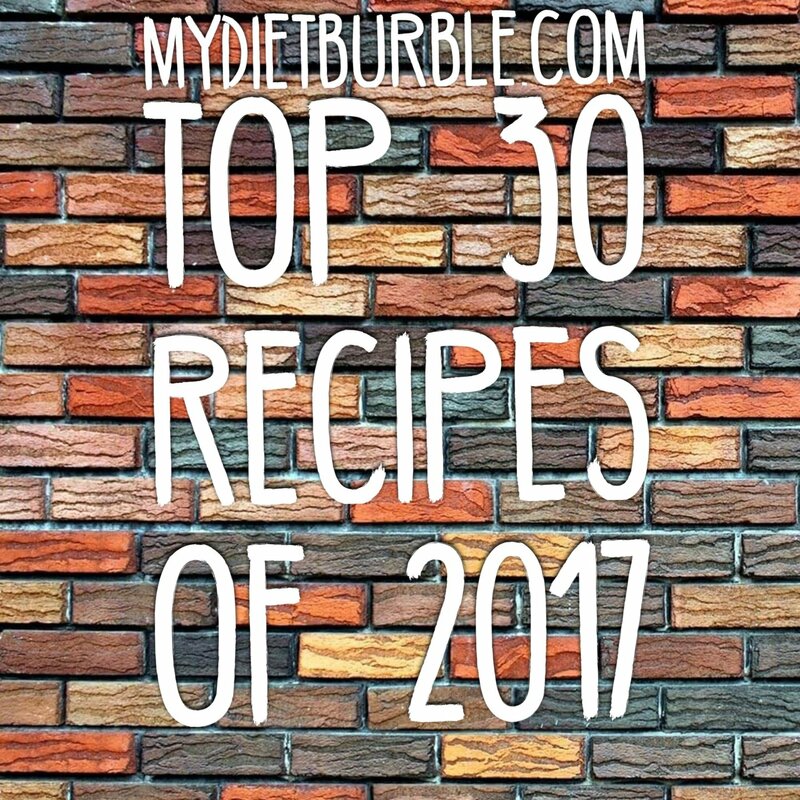 Here are the top 30 recipes from www.mydietburble.com and remember that these recipes are also available in The Lean Cook recipe app, click here for more details and to download for free. For anyone not familiar with my recipes, these are dishes that I’ve made during my time on the 90 Day plan by The Body Coach. I wanted to cook my way through the plan so that when I finished, I was able to cook lean versions of foods I enjoy. These are complete meals and do not require elements from other meals or snacks so they make meal planning really simple. Any swaps or support hero approved items will be detailed in the notes section and I would say that most dishes can be ready in less than 30 minutes, even less in most cases! 30. Bang bang Thai burgers, fried & spicy salsa. This recipe includes a youtube video showing you how to make this recipe step by step. 29. Spicier than flip Mexican chicken. This one is spicy, but remember with all of my recipes you can turn down or dial up the spice levels to suit you! 28. Chicken pizza hold the cheese. A lovely way to enjoy that pizza vibe but staying on the 90 day plan. 27. Creamy tagliatelle with chicken cheat balls. Chicken sausages made to look posh. You can seriously impress someone with this simple dish that looks like you’ve gone to much effort! 26. One pot chicken with creamy veggies. Sometimes it’s easy to overthink what you’re going to put onto your plate. This recipe comes together very quickly and is made in one pot as the name suggests! 25. Chicks in blankets. My version of a plan friendly scotch egg that’s great for breakfast or even lunch. Easy to make and transport. This recipe includes a youtube video showing you how to make this recipe step by step. 24. Broccoli rice. There really is no mystery to making your own broccoli rice at home. It’s really simple this recipe includes a youtube video showing you how to make this recipe step by step. 23. Dirty but lean burger with chunky lean fries. 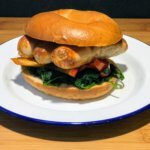 This has to be one of my favourite burger recipes and to be honest if I go out for a burger I ditch the bun in favour of fries every time! 22. Homestyle chicken kebab. I came up with this because I really love a kebab from our local, but i always hate the way it makes me feel parched all night so that I wake up needing water! 21. Pulled chicken soft tacos. This one was quite popular and I’ve never had so many people ask how to ‘pull’ chicken. 20. Not so sloppy but lean joes with salad greens. There’s a misconception that mince is boring, but it really doesn’t have to be so give this a try! 19. Chinese style shredded beef with spiced broccoli. This is a lovely recipe for a rest day or as a reduced carb meal. Full of flavour and something you add your broccoli rice to! 18. Nacho-less nacho chilli stack with cheese. I really love this dish. I remember coming up with this one lunch time. It has all the flavour of a great nacho dish but it’s low carb! 17. Tuna melt topped veggie pot. This is another one of those recipes that I came up with at lunchtime. I had a hankering for a tuna melt, but I wasn’t training that day. No need for bread with this tasty recipe! 16. Chilli chicken with broccoli rice. I ran out of mince one day but was in the mood for a chilli and chicken did a great job of standing in for mince that day! 15. Chicken mushroom and tarragon soup. On a cold winters day I came up with this hearty soup, and be warned it comes with an amazing side of cheesy green beans! 14. Piri piri chicken bites with a broccoli and mozzarella rosti. I’m not sure any explanation I can offer would do this recipe justice, but this is a great fakeaway dish! 13. Breakfast sausage patties. This was probably one of the first breakfast recipes I came up with and it’s one of my favourites. You can batch prep the patties and defrost them as you need them. 12. Spaghetti bolognese. Even though this recipe isn’t swimming in sauce, there’s just enough to give you the full flavour that you want with this dish. 11. Sticky Asian balls with crispy kale. Cheeky name aside, this dish is lovely and if you serve it up to a friend or family member for dinner, they’d never guess it was ‘diet food’! 10. Bolognese cheesy broccoli bake. This recipe became very popular very quickly and it seems that it was all down to how quickly it could be made, and of course the melted cheese topping! 9. Chicken chilli kicker masala. I love this curry and it was probably one of my first fakeaway dishes. I’ve served this to friends who thought I bought in a sauce! This is another recipe with a youtube step by step video as part of the recipe. 8. Quickie beef chilli 1.0. 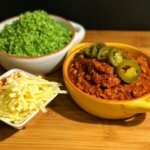 My Mr loves a chilli and it seemed really easy to make a lean version. I’ve made this too many times to remember and it’s a real family favourite! 7. Breakfast sausage bagel. This one seems naughty but it’s a staple for a training day and so quick to put together too! 6. Breakfast burrito with a twist. 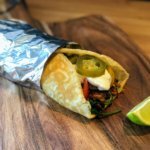 This is the first recipe that I came up with that included an egg wrap in place of a regular wrap. If you’re a stranger to an egg wrap, check out this recipe as it includes a youtube video showing how to make the egg wrap. They’re such a staple for me these days! 5. Pasta chicken. This is a dish that I’ve been making for my family for a long time and it’s something I’ve adapted to fit my pick and mix. 4. Smoked salmon muffins. 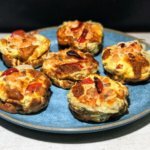 Many people need low carb breakfast that they can easily transport and as you can see this recipe is very very popular. Before you dismiss this recipe because your pick and mix egg allowance for a rest day or reduced carb meal is small, don’t worry. Make a few batches of this recipe and you’ll have plenty of egg to go around. This recipe includes a speedy video that shows how easy it really is to make! 3. 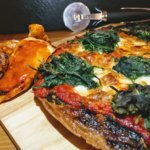 Fiorentina low carb pizza with chicken dippers. This is another of my favourite fakeaway recipes. Another way to have a pizza without actually having a pizza. 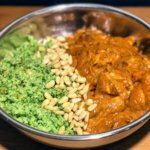 I get lots of lovely feedback about my recipes and what you love about this one is that it gives an all round takeaway experience without the need for ordering in. A tasty pizza and some lovely spicy chicken pieces too! 2. 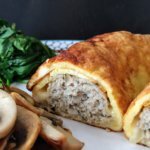 Cheesy egg wrap sausage rolls. This is my version of a sausage roll but without the pastry. The sausage is really easy to make, and by now you’ll be such an expert at making the egg wrap. It’s a lovely breakfast dish and something I’ve enjoyed many times and clearly it’s a well loved dish. 1. Courgette lasagne with broccoli. This is the top recipe for 2017 and it took off really quickly. 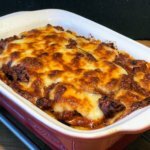 The sauce is adapted from my ‘regular’ lasagne recipe and I’ve seen many of you batch cook this for the freezer. I’m going to be making for recipe videos and this will be the first on the list! Thank you to everyone who’ve tried my recipes, made them for friends and family, and even posted pictures on social media. It’s lovely to see lots of people cooking recipes I made in my own kitchen. C1D30 – Results submission day! Next Post 2017, the year that flew by!